Today’s Friday bouquet in the Hitty Cupboard. Ah, so very, very pretty. Arianell surely enhances the Friday bouquet. This is a photo that will be impressed upon my mind today. 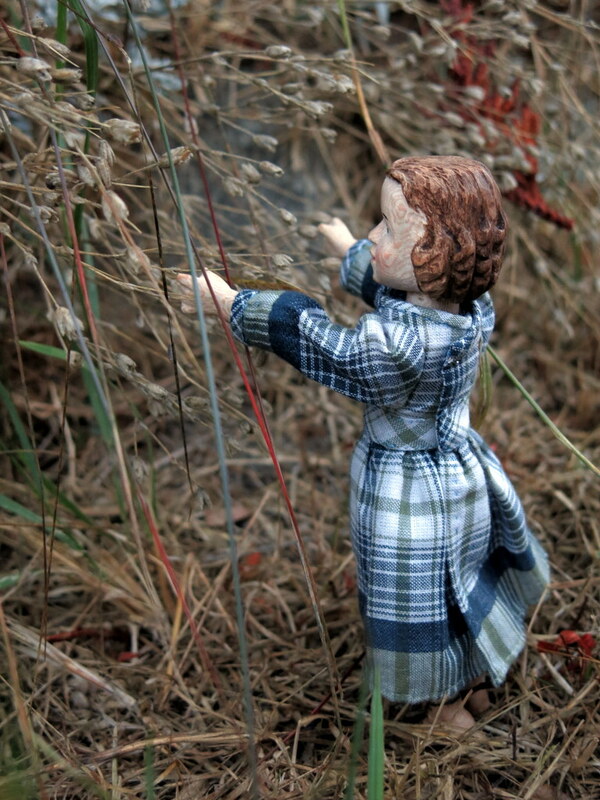 Morning colour-saturated, pretty contrasts – Arianell is exploring the garden. Arianell is certainly a beautiful creation. She looks so fresh and happy with her new dress and the delicate garden offerings. Thank you! She was fresh and happy in the garden this morning, and likes her pretty dress! Gosh, your foliage is dry and we are water logged here in the East Coast. Arianell’s shoes are marvelous!! !Yes, I just used the word marvelous…maybe a first…I went back to your last post to view her feet to see how I missed those adorable carved shoes. I have been hearing about the excessive rain out your way, I hope you keep safe and dry…Arianell’s sweet boots were an expansion of my carving experience, suggested, and guided by my carving companions! They are also made from Sycamore wood, and outlined with the wood-burner. Thanks very much, I liked the soft colour and little lines of the handkerchief, which I think are accentuated by the bias cut pieces. I am glad you like her little boots too. I was aiming for scuffed and second-hand look. Arianell has a good eye for composition. Those berries really make the bouquet pop! I am also a fan of her boots …indeed I am a fan of everything Airanell! 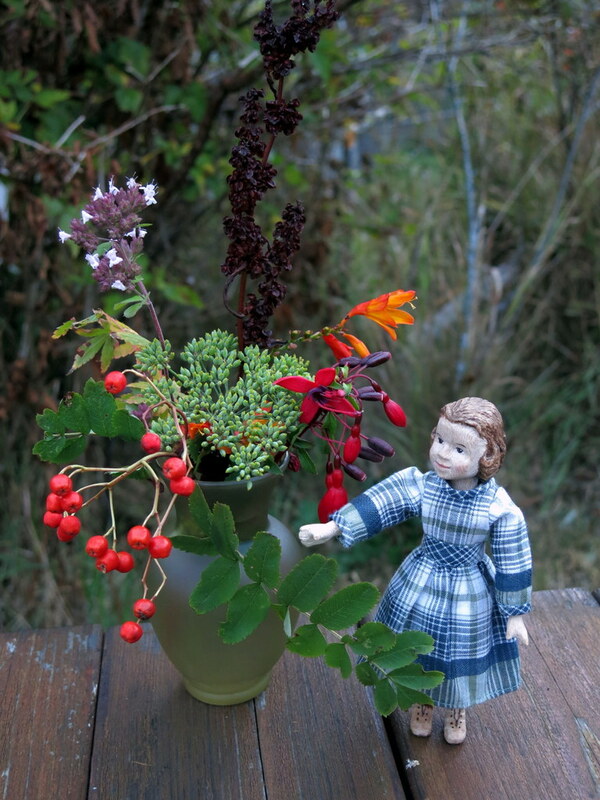 We liked the berries and seeds too – everything in our garden is heading towards fall colours! Arianell is a bit shy about having so many admirers, but I appreciate you saying that you are a fan!